Manipal University Admission 2019 - The admission of Manipal University involves various layers of screening including entrance examination, Departmental exams followed by personal interview, WAT, and academic track record. 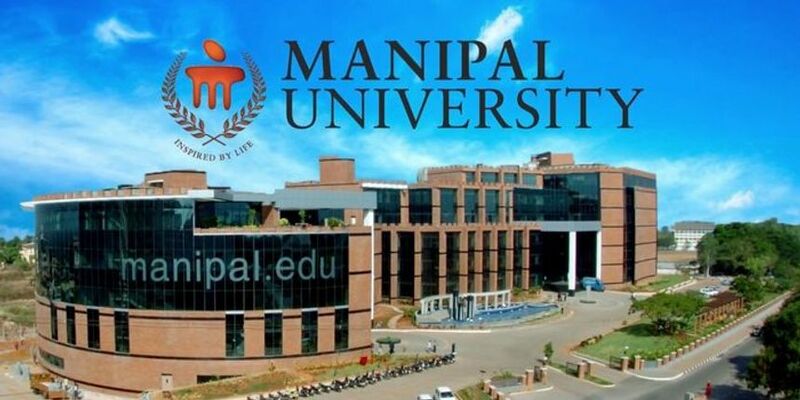 The Manipal University 2019 admission is conducted by the university officials and different courses have a unique procedure to grant admission to aspirants. The admission of Manipal University will be based on the scores of entrance test or national level entrance test or academic marks. In this article, candidates would be able to gather information on various aspects of Manipal University Admission 2019 including eligibility criteria, application process, courses, and important dates to name a few. The Manipal University 2019 admission process are available here for the level of study ranges from Under Graduate, Post Graduate, Super Speciality to Certificate Diploma Courses. After the completion of the entrance test, candidates are shortlisted for the counselling and seat allotment process. Candidates are advised to attend the counselling process as per the specified schedule with all necessary documents and fee. Manipal Academy of Higher Education (MAHE), formerly called Manipal University, is a privately owned deemed to be university located in Manipal, Udupi, Karnataka, India. Manipal Academy of Higher Education has been accredited by NAAC and rated ‘A’. Having branch campuses in Jaipur, Bangalore, Mangalore, Dubai (UAE), and Melaka (Malaysia), Manipal University has the faculty strength of more than 2700. The institute offers around 274 programmes spread across 20 diverse disciplines. The placements of Manipal University administered at Jaipur, Sikkim Manipal Institute of Technology and Manipal Academy of Higher Education. The admission process of Manipal University 2019 varies between subjects and domains. Manipal University offers admission to candidates to its three institutes- Manipal Institute of Technology, Manipal; Sikkim Manipal Institute of Technology, Sikkim and Manipal University, Jaipur based on their scores in Manipal Entrance Test (MET). The other entrance exams which are accepted by Manipal University are NEET, NATA, JEE Main. The Manipal University 2019 eligibility criteria for both undergraduate and postgraduate courses are mentioned underneath is formulated by the officials of University. Candidates should be a registered Nurse and registered midwife or equivalent from any State Nursing Council. B.Sc Graduates with Physics and Chemistry could be considered for admission to MSc Biochemistry course. A Police officer with any of the above-mentioned qualification. Candidate MUST have completed their internship before class commencement. Bachelor’s degree with Psychology as a core subject (completed minimum 60 hours or equivalent). Graduation in any discipline (minimum 3 years duration), from a recognised University, with minimum 50 percent aggregate marks or equivalent. Must obtain BSc Degree in Respiratory Therapy / BSc Respiratory Care Technology / BSc Medical Technology (Respiratory Therapy) / BSc Critical Care Technology (4-year duration) from a recognised university with a minimum of 50 percent aggregate marks or equivalent. Candidates with 3- year degree MUST have completed 1 year of internship or clinical experience. B.ASLP / BSc (Speech & Hearing) / BSLH from any university recognised by the Rehabilitation Council of India (RCI), with a minimum 55 percent aggregate marks or equivalent. BSc with Physics as the major subject from a recognised university, with a minimum of 50 percent aggregate marks or equivalent. Must obtain BSc (Computer Science / Information Science / Mathematics / Electronics / Physics / Chemistry) / BCA from a recognised University, with minimum a 50 percent aggregate marks or equivalent. A valid test score in any of the All India Management Tests (CAT / MAT / XAT / CMAT) is mandatory. Bachelor's degree in any discipline from any recognised University, with a minimum 50 percent aggregate marks or equivalent. Bachelor's degree in Management or Commerce from a recognised University, with a minimum of 50 percent aggregate marks or equivalent. Internship completion date should be on or before 31.03.2019. Aspirants with degrees other than Hotel Management must enrol for a 3-month bridge programme prior to course commencement. Microbiology / Clinical Biochemistry / Life Sciences / BNYS (Naturopathy) / BAMS (Ayurveda)) / PG Diploma in Dietetics from a recognised University, with a minimum of 50 percent aggregate marks or equivalent. BSc Nursing / PB BSc Nursing degree recognised by Indian Nursing Council, with a minimum of 55 percent aggregate marks or equivalent. Must have one year of experience as on July 31, 2019, after BSc Nursing in a hospital of at least 100 beds / in a community health program / in a school or college of nursing. Minimum of one-year clinical experience, preferably in any Critical care setup. BSc with at least one subject of biological sciences / MBBS / BPharm / BVSc / BE (Biotechnology) / BTech (Biotechnology) programme from a recognised University, with a minimum of 60 percent aggregate marks or equivalent. Manipal Academy of Higher Education (MAHE) has released the MET 2019 application form (Manipal application form) online on October 10, 2018. In order to seek admission in Manipal University, candidates need to fill the application form in online mode on the official website. The application form of Manipal University admission 2019 will be available for all the programmes separately for Indian and Foreign candidates. After filling the application form for Manipal University 2019 admission, candidates will have to appear for the entrance exam (MET 2019) if required. Candidates will be shortlisted for the counselling and seat allotment process on the basis of MET score or scores of national level entrance test. The given steps can be followed by the candidates while filling the Manipal University Admission 2019 application form. To create a login account, the candidate should register at the official website. A one-time registration is required, when applying for multiple courses. Email ID and Mobile Number should be valid and the candidate has to provide the Password (5 to 10 characters/numbers) of his/her choice. Step-2: Filling Online Application Form: Candidates must fill the details of the category, personal Info, and course. Candidates have to pay the application fee payment through Credit Card/Debit Cards/Net Banking/Cash Card/Mobile Payments/Paytm/Wallet/Unified Payments Interface (UPI). For Foreign/International/NRI/candidates have monthly installments (EMI) or Wire Transfer option. Step-4: Document Upload: Click on “upload documents” to upload the documents as per the programme requirement. After uploading of all documents, click on “Submit Document” button to submit the documents to the University. Step-5: Take Printout of Application Form: Click on “download application” to download the submitted online application form in pdf format. Helpdesk: For any queries, Call on 9243777700 / 9243777711 / 9243777722 / 9243777733 / 9243777744 or email - [email protected]. The first step towards Manipal University admission 2019 is to apply/register. In order to book slots for the Manipal Entrance Test (MET) 2019, if applicable, aspirants need to login to the online test booking system (OTBS); enter User ID- Candidates’ application number and the OTBS password will be emailed to the candidates registered email id well in advance to book their test slot at the centre of their choice. The bookings will be done on a first-come-first-serve basis and subject to slot availability. A slot once booked, CANNOT be changed under any circumstances. Candidates will need to pay for Manipal University admission through online mode only (net banking/credit card/debit card). Manipal University exam pattern has been designed and formulated to grant admission to programmes offered by MAHE. One of the most important inhouse entrance exams is Manipal Entrance Test (MET) which is an online exam conducted at various Manipal University exam centres 2019 in India. Manipal University admission 2019 will conduct several other departmental exams to provide admissions to offered courses. The test will have different exam sections depending on the subjects/courses. On completion of the test, the final score will be displayed on the screen immediately. The test score can be verified online as well, 24 hours after the test completion. For multiple attempts, best of the scores will be considered for the final merit list. Type of Questions - Multiple choice questions (MCQ type). Rough sheets will be provided during the test and must be returned back on completion of the test. Scoring Pattern- There is NO negative marking. The Manipal University admission test 2019 for MTech & ME, will carry four marks for each question and the right answer will be awarded four marks as well. For all other courses, each question will carry one mark and the right answer will be awarded one mark. Section 3: Chemistry including Biochemistry (40 questions). Physiotherapy in Community Health (10 questions), Electro diagnosis (5 questions), Ergonomics and Biomechanics (25 questions), Exercise Physiology (5 questions), Kinesiotherapeutics (25 questions), Physiotherapy in Neurology (30 questions), Physiotherapy in Cardiopulmonary (30 questions), Physiotherapy in Orthopedics (30 questions), Electrotherapy (20 questions), Anatomy (10 questions), Physiology (10 questions). The MET test syllabus 2019 covers Physics (50 questions), Chemistry (50 questions), Mathematics (70 questions) & General English (30 questions) based on the 10+2 syllabus followed by major 10+2 Boards. The approximate distribution will be Respective BE / BTech discipline (50 questions) and Engineering Mathematics (10 questions). The approximate distribution will be Numeracy (20 questions), Conceptual (25 questions), General English (20 questions), General Awareness (20 questions), Case Study (15 questions).